Sometimes this weekend I am planning to make clam cake. Hopefully it wil be good and I can add this here for my recipe to keep. There was also another recipe cought my eye and it is interesting it it the mozzarella sticks wrap in egg roll wrap and fry. I bet this is good. Plan to make this sometime this months. This is why very hard for everyone to loss weight. I keep on making foods. Foods that are sellable to my family. Every year my company always do holiday basket with different theme depend on what every department decide to do. There will be at least 2 weeks to do the raffle. Employees will buy tickets and they can put on the selected basket they want to win. And all the money will go to charity of their choice. For this year my department decided to have a chocolate theme for basket. We can put candies, bake goods or what ever chocolate it is. 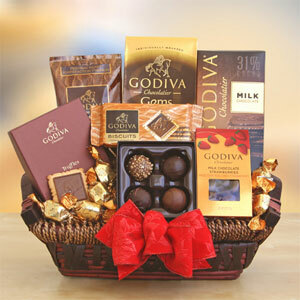 But one thing that pretty sure this basket will be the popular is because of the chocolate liqueur brands. Yes chocolate liqueur brands, this is the new flavor for this year. My husband and I saw this couple weeks ago at a liquor store. My coworker bought this chocolate liqueur brands to add into our holiday basket. I know I will be excite to win this basket but if my youngest daughter will the one the choose she probably rather to have a bottle of juice. Like gatorade to which gatorade prices is ok to m y budget. I know everyone in my family call me I am cheap. I am just trying to find a way to spend our money wisely. Anyway back to holiday basket. Wither I win anything or not the important is I able to help out the charity my company chooses. Christmas is about helping others anyway. It is better to give than to receive right?